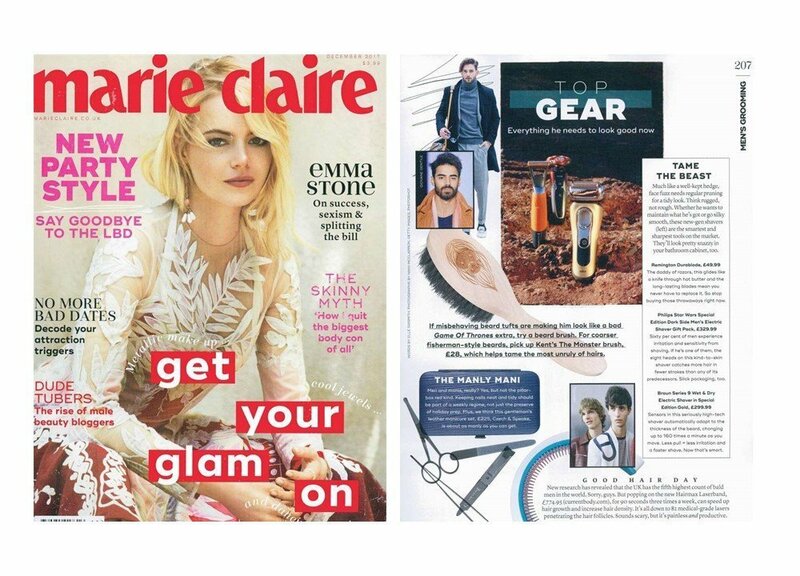 The December issue of Marie Claire UK is out today! Grab it from the newsstands and check out their comprehensive gift guide for this Christmas. They include the newest addition to our manicure sets, the Midnight Blue English long grain leather. The “manly mani” is the perfect gift for the holidays, and Marie Claire recommends gents to take care of their hands not only around the holidays.